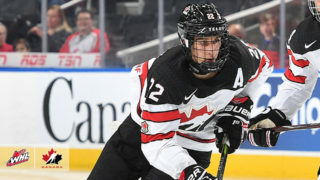 Moose Jaw Warriors General Manager Alan Millar has announced the acquisition of 17-year-old forward Kjell Kjemhus from the Prince George Cougars in exchange for a 7th round pick in 2020. 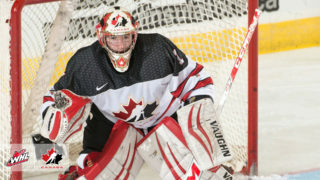 Kjemhus, 5’10”, 186lbs, is from Grande Prairie, Alberta and has two assists in five games with the Cougars this season. Last season he played in 25 games with Prince George and had two goals and four points. 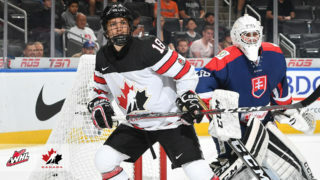 Kjemhus was originally drafted by the Regina Pats in the 4th round, 77th overall, at the 2016 WHL Bantam Draft and was traded to Prince George days before the 2018 WHL Trade Deadline. 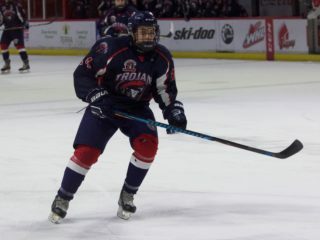 In 2016-2017, Kjemhus played with the Pursuit of Excellence (POE) Midget Prep team and had nine assists, 12 points, and 79 penalty minutes in 28 games. He spent 2015-2016 with POE’s Bantam Prep team and had 15 goals, 23 assists, and 38 points in 25 games.